The new Lamborghini Aventador features stunning sharp lines inspired by nature and also by aeronautics. The Aventador is powered by a mid-mounted 6.5-litre V12 engine that produces 740 hp at 8400 rpm. The car offers incredible acceleration and can go from 0 to 100 kmph in 2.9 seconds. The front profile of the new Aventador reminds of the shark fin and transmits the same dominance and elegance as the mammal but only on the road. The rear end shows new tailpipes with hexagonal design hinting towards an engine as powerful as the one in a space shuttle. Visible in the image is a fire extinguisher placed on the left-hand side, in front of the co-passenger seat. It is a part of Accessories Original kit of the Aventador. Visible in the image is a fire extinguisher placed on the left-hand side, in front of the co-passenger seat. It is a part of Accessories Original kit of the Aventador. Visible in the image is a fire extinguisher placed on the left-hand side, in front of the co-passenger seat. It is a part of Accessories Original kit of the Aventador. The Aventador offers a luxurious cabin that's been done nicely with best-in-class upholstery. Also, the brand offers a variety of options. The Aventador gets a TFT instrument cluster that apart from being eye-catching provides the driver with a plethora of information. The Aventador comes with an advance and high-tech centre console with controls ranging from the entertainment system to driving modes. Seen in the image is the Aventador hydraulic assisted power steering. This unit benefits from Lamborghini Dynamic Steering system with variable steering ratio. The new Aventador displays an exclusive design and the V12 engine churning 740 hp of power features the LDVA tech that offers an unparalleled driving experience. Seen in the image is the Aventador S Coupe trim that displays the unmistakable Lamborghini DNA. The exterior is the mix of aggressiveness, refinement, and dynamism. While on the outside this supercar is coated in premium finish pain, the cabin too is wrapped in ultra-premium upholstery. Part of its carbon fibre interior kit is the AVENTADOR badged kick plate that'll be a reminder of the brands powerful DNA everytime you'll open the door. 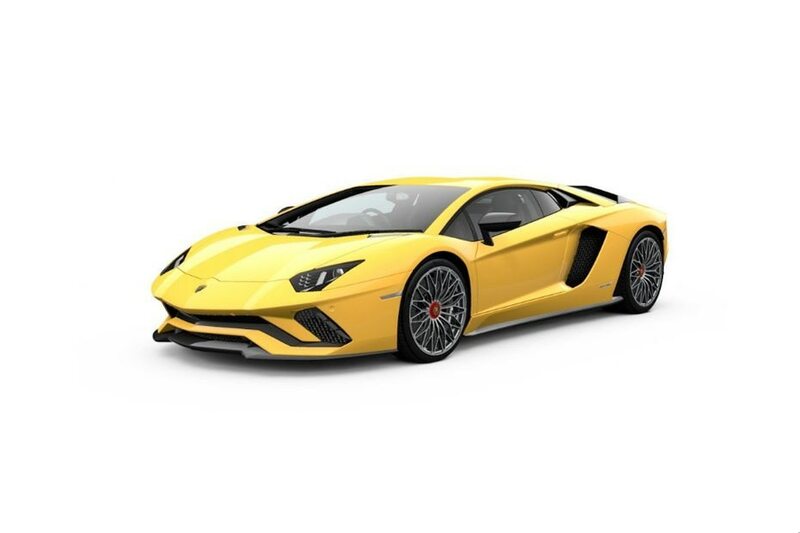 As expected from a car of its stature, the Aventador gets seats for the racing environment, and they do not compromise on the style and safety front. Visible in the image is a fire extinguisher placed on the left-hand side, in front of the co-passenger seat. It is a part of Accessories Original kit of the Aventador. The cabin reflects a stunning site all thanks to the stitching that runs all around on the steering wheel and seats. Also, the dashboard shows colour trims making the dashboard appealing.